Social media is one of those things that works best when it looks easy. In reality, great social media engagement requires careful planning, long-term strategy, and a ton of leg work. But it’s also an incredibly powerful tool with the potential to truly connect brands with their consumers. Join The Hatchery and Stout Collective to learn how to establish your goals, understand your audience, and plan a social media strategy that’s both effective and manageable. 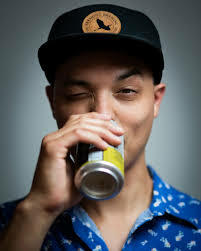 Matt Tanaka is the founder and creative director at Stout Collective, a marketing and design studio for the food & beverage industry. He lives in Chicago with his wife Laura, son Logan, and Bento, the world’s laziest bulldog.